All the UFC fans must be excited for the upcoming fight on 4th November 2017. The main event UFC 217 is the most awaiting Bisping vs GSP Match. 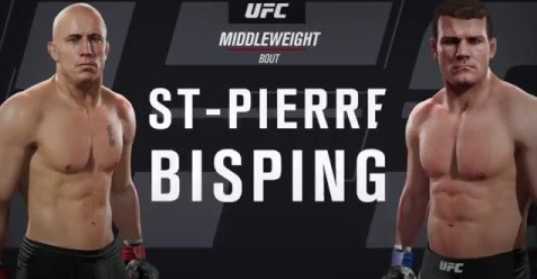 Two greatest UFC fighters Michael Bisping and Georges-st-Pierre (GSP) are facing head to head. And FYI, GSP is back to the Octagon after 4 years. So the UFC fans are super excited for this amazing match. As this UFC match is telecasted as a PPV event, you need to pay and watch this event. However, with Kodi third-party addons, you need not worry. You can watch Bisping vs GSP on kodi for free without spending a single penny. In this article, we will be sharing four working addons with which you can watch UFC 217 Bisping vs GSP fight on kodi. Also check: How to watch UFC 229 on Kodi? 2 How to watch Bisping vs GSP on kodi for free? The UFC 217 match between GSP and Bisping is scheduled on November 4, 2017, at Madison Square Garden, NewYork. This is one of the most anticipated UFC fights of this month. How to watch Bisping vs GSP on kodi for free? There are several addons available on Kodi to watch PPV and Live events. But the question is, Do they work? To be honest most of them don’t stream the UFC fight live. But don’t worry! We have filtered all the PPV addons and listed four kodi addons with which you can watch Bisping vs GSP on kodi. Before proceeding to the addons, it is very important to ensure your privacy. So in order to safely stream the GSP vs Bisping fight on kodi, we strongly suggest you to install VPN like IPVanish on your device. By using the VPN, you can stream the match anonymously without any buffering! Planet MMA is the sports addon built exclusively in favor of UFC, MMA and other fighting championships. This addon is far better compared to other addons and the streaming links do work always. This addon has exclusive PPV section for UFC fights and MMA events. If you are a wrestling fanatic then this addon is a must-have in your Kodi. In order to install Planet MMA addon, you need to install Ares Repo first. After installing the repository, go to Install from repository > Ares repo > Video Addons. You can find Planet MMA addon here. Just install the addon and go to UFC openload. You can see all the main events listed here. Just choose the event and start watching. Bob unleashed is a popular addon that has been an all-rounder. You can watch almost any game or live event this addon. There are also separate sections for watching movies and other shows in this addon. This is one of the best addons for streaming sports and live events. It has a lot of sections including New releases, Amazing TV, Sports, Kids, Docs, Caira, Griffin, Shepo, T.A. Streams, Thunder, TNPB, Valhalla, TNPB Box sets, Music TV, and Walk of Fame etc.. In order to install Bob Unleashed addon, you need to install noobsandnerds repo first. Then go to Install from repository > Noobsandnerds repo > Video Addons > Bob Unleashed. Install the addon and go to Bob sports section, where you can find UFC. Just click on it, here you can find the live matches. The first addon that comes to my mind, when I wish to watch sports is Sports Devil addon. It is one of the earliest sports addons to be released and the most popular one too. This addon has a lot of providers and supports a lot of services. From watching sports channels to streaming live events you can do anything with this addon. All sports channels and live events can be streamed through sports devil addon. After installing the cazwall repository, follow Install from repository > Cazwall repo > Video Addons > Sports Devil addon. After installing the addon, go to the Live sports section where you can find many providers. Choose any one and select the event you wanna watch. Project Mayhem is the addon made exclusively for sports from the developers of the Maverick repo. This addon does not have exclusive sections as in Sports Devil. This addon contains the streaming links to some of the popular Sports channels. You can find all the popular sports channels from UK and US in this addon. After installing the Maverick repository, follow Install from repository > Maverick repo > Video Addons > Project Mayhem addon. After installing the addon, go to Today’s live game, where you can find the games scheduled for that day. Choose the event and start watching. I hope the above-listed addons helped you to watch Bisping vs GSP on kodi. If these addons didn’t give hand, then here is another method! Mobdro is yet another best way to watch live sports. You need to install the mobdro app on your device to enjoy watching GSP vs Bisping UFC 217 match! Do comment below if you face any issues.